Directions: Each learner’s permit exam has 25 multiple-choice questions. Topics covered on the exam include alcohol misuse, suspensions, and JOL violations, as well as rules of the road and identifying road signs.To pass the exam, you must answer 18 questions correctly within the allotted time of 25 minutes. Full-service RMV Branches have automated testing stations (ATS), which are easy-to-use videoscreen kiosks that use a computer program to deliver learner’s permit exam questions visually. The ATS lets you practice with sample questions before beginning the actual exam. You must study the contents of this manual to be able to pass the learner’s permit exam. The learner’s permit exam fee of $30 covers the cost of processing your application and administering your learner’s permit exam. If you fail the exam or your permit expires, you will be charged this fee again for another examination. Trucks are entering the highway. Warning signs are usually diamond-shaped with black markings on a yellow background. They alert drivers to upcoming hazards. 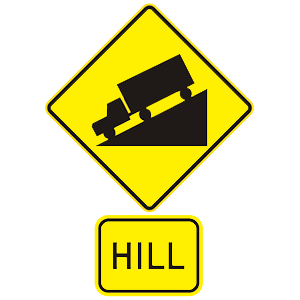 This sign indicates that drivers are approaching a steep hill and should prepare to adjust their speeds to continue to drive safely. When the train has passed. When the lights have stopped flashing. When other drivers drive around the gates. You are required to stop at all railroad crossings when signals warn of an approaching train. These signals may include flashing red lights, a lowered crossing gate, a flagger signaling, or a train’s audible signal of warning. Do not attempt to go around a lowered gate. 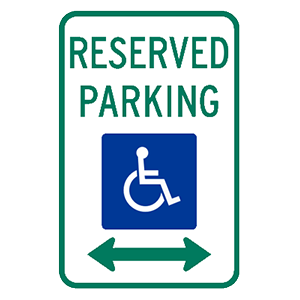 Parking spaces are reserved for people with disabled parking permits. A circular intersection is ahead. Traffic in the lane must turn in the direction of the arrow. Lanes are reserved for buses and vehicles with a driver and one or more passengers. This sign marks parking spaces that are reserved for people with disabled parking permits. 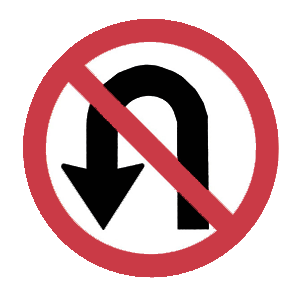 This signs indicate that U-turns are prohibited in the location where it is posted. A minor traffic safety problem. A serious traffic safety problem. Safe if you have only had a few drinks. Only dangerous to the driver who drinks. Driving while impaired or intoxicated is a serious traffic safety problem. Safe driving is not possible when you drink alcohol or take other drugs. Driving under the influence is dangerous both to you and to others on the road. Fluorescent yellow-green is used as background color for pedestrian, bicycle, and school warning signs. Use extra caution when driving around these signs.